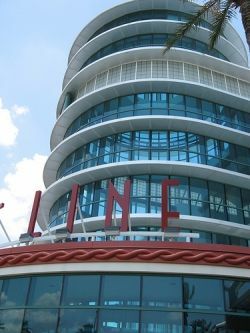 Cruising with Disney is always fun but following a few of these insider tips from a seasoned Disney veteran will make your cruise even more magical, less stressful and may even help stretch your dollar a little further! It doesn’t matter whether you’re a first-timer to Disney cruising (or cruising in general), or you’ve been on the Disney Magic, Wonder, Dream or Fantasy already, a little extra knowledge before you go will ensure your cruise is the best it can be for you and your family. We’re going to assume you’ve already made the BIG decision… deciding to book a cruise with Disney. If you have, congratulations. You made an excellent decision. 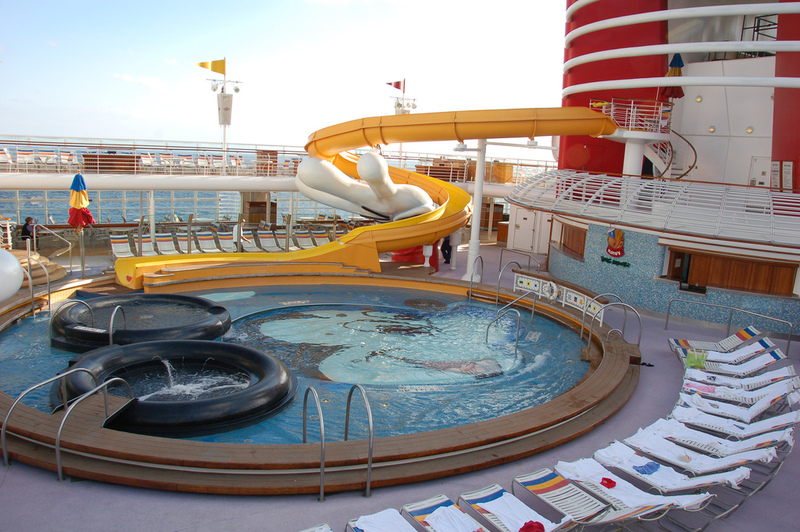 If you still aren’t quite sure if a Disney cruise is for you, we suggest you visit the Disney Cruise Line home page. It has scheduling, destination and stateroom information. You can even view a Disney Cruise Planning DVD online. 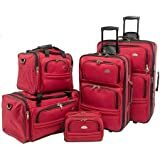 The information is going to helpful for the people who have already chosen when and where to go and final their plans BEFORE they actually book the trip. Even if you’ve already booked the cruise, our tips will make your cruise even better. Disney Cruise Line allows guests who have paid in full to make reservations online for shore excursions, spa treatments and Palo or Remy (the 18 and older restaurants). Parents can also register their children for the kid’s clubs. Planning these things when you’re home is a big advantage. You can budget properly, and it will allow you to relax and enjoy departure day knowing your reservations are taken care of. If you have sailed with Disney before, you’re automatically enrolled in the Castaway Club. 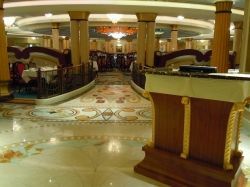 Guests who have been on at least one cruise are considered “silver” members. After 5 cruises you are upgraded to “gold” and after 10, to “platinum”. Silver members can book ship activities and shore excursions online up to 90 days before departure. Gold members (and guests booked in a Concierge stateroom) can access these online 105 days before the sail date and platinum members up to 120 days prior. For first-time Disney cruisers, you can access the online system 75 days prior to your departure date. All Castaway Club members receive insider exclusives and a dedicated number for help and booking assistance. All members also enjoy a special check-in line at Port Canaveral and an exclusive “Welcome Back” Castaway Club gift in their stateroom. For a complete description of the benefits, you receive with each level, visit https://disneycruise.disney.go.com/ . Experienced cruiser’s know the secret…” know before you go”…and before the PassPorter arrived, no dedicated guidebook had existed for the Disney Cruise Line. Authors Jennifer and Dave Marx have packed thousands of useful tips and planning information into a single guidebook dedicated to the Disney Cruise Line. 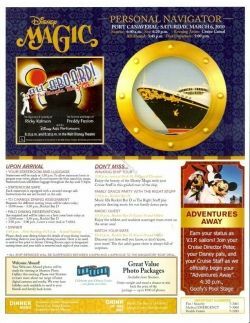 This new edition includes updated information on the new Disney Dream and the Disney Wonder’s newest ports of call. No detail is too small – from dining room menus to detailed deck plans, daily activities to shore excursions. …and if you’re combining your cruise with a side trip to Walt Disney World, be sure to pick up the PassPorter Guide to WDW. 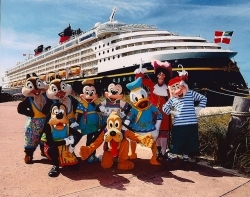 The coauthors of the award-winning PassPorter’s Walt Disney World originally intended to produce a short supplement for Disney World-bound readers going on a Disney cruise. As they moved deeper into the project, the manuscript grew and grew; so many useful tips and details were discovered, and readers continued to ask questions they wanted answered in the book. PassPorter’s Walt Disney World 2017: The Unique Travel Guide, Planner, Organizer, Journal, and Keepsake! With four major theme parks and 22 hotels, Disney World can be daunting – this indispensable travel planner simplifies the process. The authors have been honing their advice, expanding their coverage, upgrading the book’s features, and delighting readers for over 15 years. 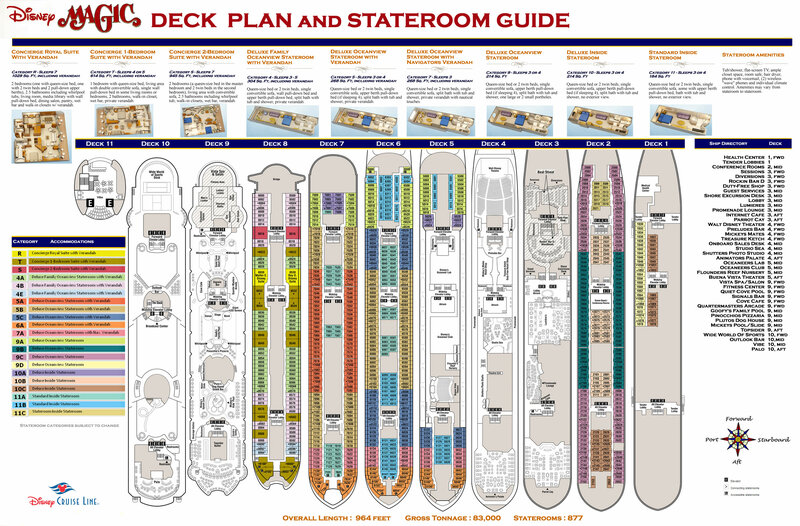 The Ship’s “Deck Plan”…Study It. Learn it. Know It. 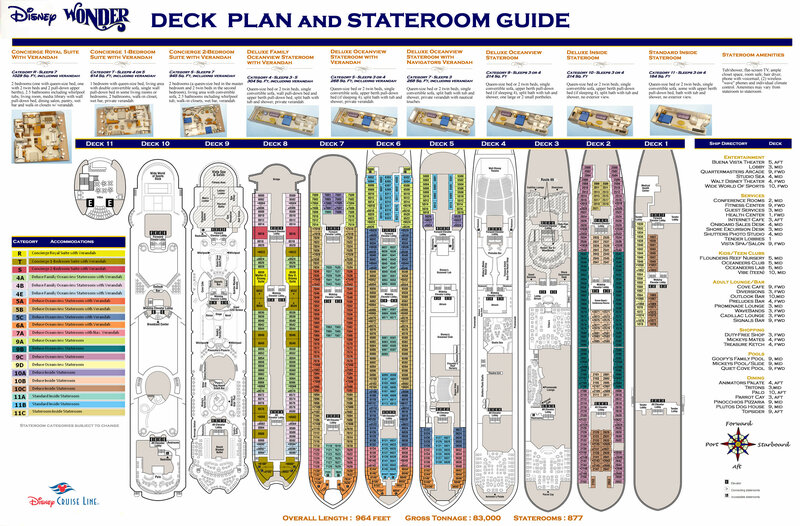 If you are a first-timer, or even a returning Castaway Club member with prior Disney cruise experience, reviewing the deck plan of the ship you’ll be sailing on BEFORE YOU GO very worthwhile. Once you and your party are announced as you board the ship, you’ll be like a kid in a candy store and even though the ship has plenty of directional signs, knowing the layout of the ship beforehand will put your mind at ease. If you aren’t familiar with the Disney ships, the Dream and Fantasy are the newest, largest additions to the Disney fleet. They are sister ships and nearly identical in every way except for a few differences in restaurant’s names and design. 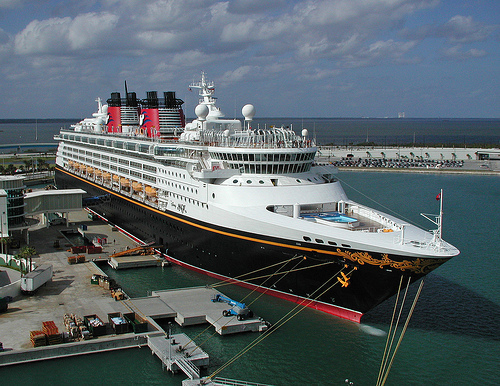 The Disney Magic and Wonder are smaller and have been in service since 1998 and 1999 respectively. They are also “sisters” and very similar to each other. You can view a larger, zoomable image by clicking deck plans below. 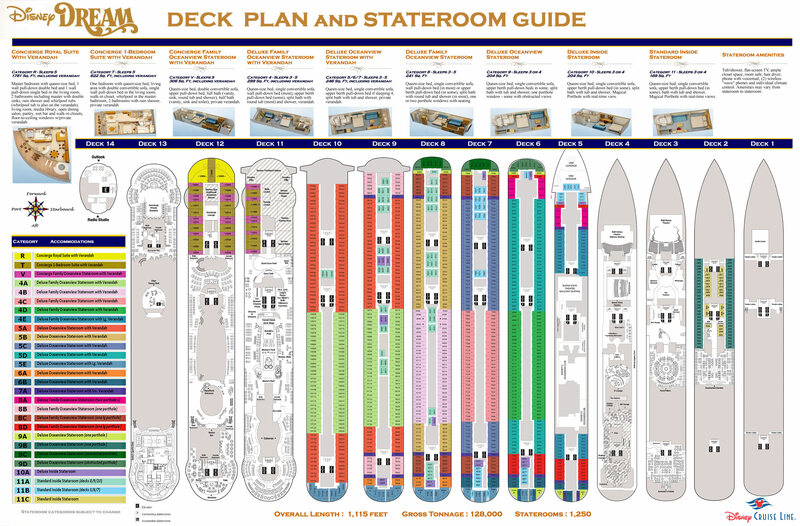 In response to a lot of requests for more information about the ship’s layout and staterooms, we’ve put together a lens dedicated to each ship. We go through the ships deck by deck and we’ve added a bunch of new tips, menus, detailed stateroom information and tons of pictures and other fun information to make your cruise more enjoyable. Birnbaum’s Disney guides take to the high seas with this comprehensive look at the Disney Cruise Line and all the events, activities, and ports of call to sample aboard the Wonder and the Magic. In “Before You Sail,” receive advice on what to do and pack prior to your journey. Then get a deck-by-deck, cabin-by-cabin introduction to your vacation “home,” as well as personal dining tips, from midday snacks to gourmet dinners. Find out the characters’ favorite hangouts and some little-known hideaways for adults. 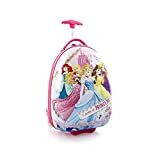 If a visit to a Disney theme park is in your future, make sure you also consider Birnbaum;s comprehensive guides to Walt Disney World or DisneyLand available below. Birnbaum’s Disney guides take to the high seas with this comprehensive look at the Disney Cruise Line and all the events, activities, and ports of call to sample aboard the Wonder, the Magic, the Dream, and the Fantasy. Birnbaum’s Walt Disney World, the most respected and well-known name in travel guides, takes readers to the world’s most popular tourist attraction. Since ours is the only guidebook that’s official, this book includes the most accurate information on prices, changes, and new attractions for 2014. This updated edition of Birnbaum’s Disneyland Resort, the most respected and well-known name in Disney guides, takes readers through Walt Disney’s first theme park with ease and flair. Since our guide is the only guide that’s official, this book includes the most accurate and current information on prices and attractions. 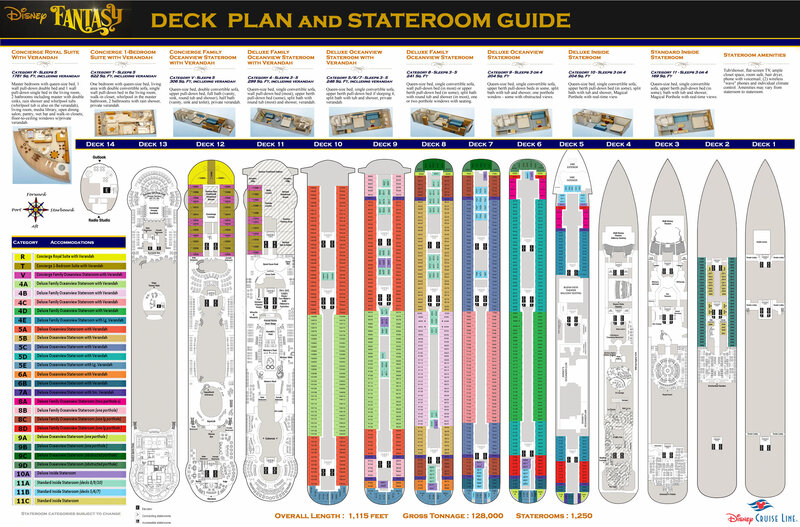 The Personal Navigator is a 6-page guide published every day while you are onboard. It will contain activity and ship information of every kind. It’s the TV guide, the menu, the newspaper and internet all rolled into one for everyone on the ship. Your stateroom host will leave you a copy when they “freshen” your stateroom in the evening. Waiting until you’re on the ship before you get a glimpse at the Navigator is a mistake. People post their Navigators from previous trip’s online. 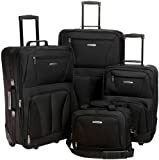 They vary depending on the length and destination of each cruise so you’ll see 3-day, 4-day, 7-day, eastern/western Caribbean, etc… They also change quite frequently so you wont know exactly what’s going to happen on your cruise but a majority of the information will be the same. About a month before you depart on your cruise, browse the link below for the most recent Navigator that fits your specific cruise. Even if the most recent one you find is a year old, you’ll still get a great idea of what to do after you board and you’ll be a few steps ahead of almost everyone else on the ship. Unless you have very small children who just won’t tolerate dinner at a later time, the late dinner seating starting at 8pm has several advantages. It will be less crowded and have less small children. It allows you to enjoy the sail-away celebration on the first day without having to excuse yourself early to get ready for the early dinner seating. The late dinner guests attend the early stage show while the early dinner guests eat. …and if you’re in the mood for an early meal, you always have the option of skipping the late dinner seating and using room service or one of the quick-serve locations on the ship. The late dinner seating also allows you more time to return to the ship from ports of call. The first stop on the 7-day western Caribbean cruise is Key West and you’re due back on the ship by 7pm, definitely not in time for an early dinner seating. 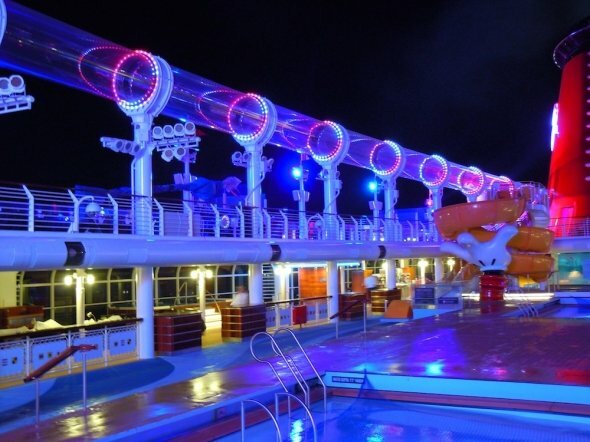 …and if you’re not in a rush when you leave the ship on the last day of the cruise, late dinner seating guests are scheduled last for breakfast and consequently usually the last to leave the ship. If you’re already signed up for the early dinner seating, you can request a change to the later seating. The early dinner seating is in high demand so making the switch to the later seating is usually granted without a problem. Get A Extra Few Hours On The Ship. After you have made the final payment on your reservation (usually 3 – 4 months prior to your departure), you will be allowed to “check-in” on the Disney Cruise website. You can fill out important forms and provide your passport and travel information, saving you a lot of time when you arrive at the cruise terminal the day of your trip. You will also be asked to select a port check-in time. Disney does this to stagger the arrival of guests avoiding large crowds and lines at the terminal. The earlier you finish the online check-in, the better chance you’ll have of getting an early terminal arrival time and being able to spend a few extra hours on the ship before you leave the dock. If you planned on flying to the port the morning of your departure, give serious consideration to arriving the day before. Not only will it allow you to arrive at the port if you get an early check-in time, it provides you a little extra insurance to make sure you don’t miss your cruise! … but what if your flight was canceled or delayed because of bad weather or mechanical problems and the next flight the airline could get your whole family on didn’t arrive in Florida until 4 pm. Sadly, you will most likely be on the dock at 5 pm, waving to the ship as it leaves. Arriving in your departure city the day before…a good thing! Once you check-in at the cruise terminal, you’ll be given a group number. Each group has about 50 people in it and the earlier you check in, the lower your group number will be. Disney’s stated boarding time is 1 pm but boarding sometimes begins as early as Noon for the first groups of people. If you planned accordingly and are one of the first groups to board, you’ll have almost 4 extra hours before the ship even leaves the dock !. Even if you check-in later and have a higher boarding number, Disney characters will help pass the time before your number is called. 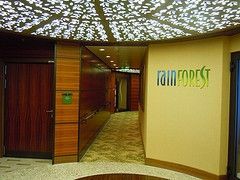 Once you board the ship, you’ll be directed to one of the two lunch buffets. The food is mouth-watering no matter where you decide to eat. You might want to consider skipping breakfast seriously and by all means, don’t buy any food in the terminal while you wait to board the ship. Once you’ve seen the lunch buffet, you’ll know why. 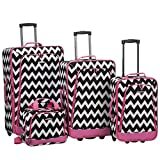 Staterooms are usually ready after 1:30 pm, and your luggage will arrive sometime after that. 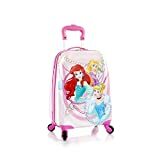 Plan and pack a day bag to carry on the ship. You might want to consider bringing a bathing suit. It’s usually very quiet at the pools as people board the ship. Plan and you could be lounging by the pool with a cold drink while the rest of the guests go through the normal first-day hysteria. Don’t Let It Stop You From Cruising. 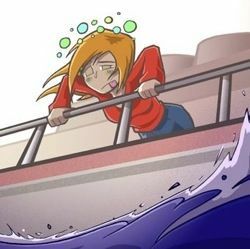 Sea-sickness is not a good feeling, and it could ruin the first few hours of your cruise if you don’t take precautions. Don’t be intimidated by it but take steps to prevent it. It can come on quite suddenly. How suddenly may you ask? On one of my past cruises, the ship left port at 5 pm. The gulf stream is usually the first thing the ship encounters out of Port Canaveral, Florida and depending on the winds and current, crossing it can cause the ship to move around a bit. My children were smaller so we booked the early dinner seating. The dining room was full at 5:45 when my husband noticed hanging pots and pans near the kitchen beginning to sway. One of my daughters said she wasn’t feeling well and skipped the appetizer. I looked around the dining room and noticed children beginning to move closer to their parents… then they started leaning their heads on their parent’s shoulder… then the children and parents began leaving. By 6:30pm, only 45 minutes into dinner, at least two-thirds of the dining room was empty. 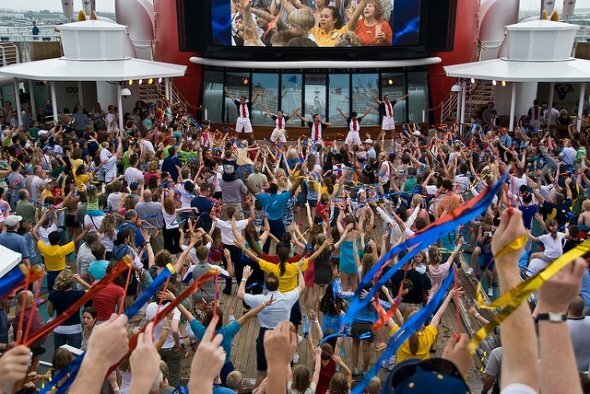 From the moment the Sail-Away Celebration starts, the entire cruise is really one big party. For the rest of the cruise, Disney gives you plenty of opportunities to be pulled into the fun. Let them pull you in. Don’t stand on the sidelines and watch people on the dance floor. Get up, grab someone to dance with and make your way onto the floor. If you’re cruise has the Pirates IN the Caribbean night, join the fun and dress like a pirate! If they ask you to participate, raise your hand and volunteer. You’ll be glad you did. Take a tour of Disney’s private tropical paradise. A stop at Castaway Cay, Disney’s private tropical island in the Bahamas, is a treat for anyone cruising with Disney. Once you’re there, you’ll never want to leave. If your itinerary includes a stop at Castaway Cay in the Bahamas, visit Disney’s Castaway Cay, a page dedicated to everything about the island. Whether you’re planning to just swing in a hammock under a palm tree or parasail high over the island or even swim with the stingrays, we’ll help you plan your visit and get the most out your time there.